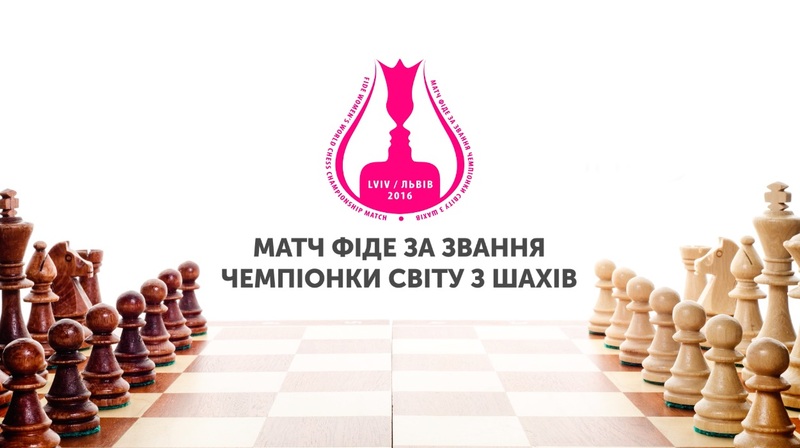 Women’s World Chess Championship Match 2016 between the current World Champion Maria Muzychuk of Ukraine and her challenger, Hou Yifan of China (former World Champion 2010-2012, 2013-2015) will take place in Lviv, Ukraine, on March 1-18, 2016. The first game is scheduled to start at 3 pm local time on 2nd of March 2016 in the Potocki’s Palace (Lviv, Ukraine). The drawing of colours will be conducted during the opening ceremony, which will take place at 6 p.m. on 1st of March in Lviv Opera House. The colours will be reversed after game four (the player getting the white colour in game one plays game five with the black pieces). The time control is: 90 minutes for the first 40 moves, followed by 30 minutes for the rest of the game, with an increment of 30 seconds per move starting from move one. The winner of the ten-game match is the first player to reach 5.5 points or more. If the scores are level (equal) after the regular ten games, after a new drawing of colours, four tie-break games will be played, with 25 minutes for each player and an increment of ten seconds after each move. If the scores are level after the four rapid games, then, after a new drawing of colours, a match of two games will be played with a time control of five minutes plus three seconds’ increment after each move. In case of a level score, another two-game match will be played to determine a winner. If there is still no winner after five such matches (i.e. after ten games), one sudden-death game will be played. Maria Muzychuk is holding the title after 2015 Women World Championship in Sochi while Hou Yifan had a right to challenge her after she became first in the Grand Prix Series 2013-2014. Maria Muzychuk and Hou Yifan played two times against each other in the past. They met first time during Gibraltar tournament in 2012 and the second game has been played during FIDE Women Grand Prix in Monaco 2015. The games between them have been hard-fought but in both of them Hou Yifan defeated her opponent. According to FIDE rating on 1st of February 2016 Hou Yifan (2673) holds the first position among women, while Maria Muzychuk (2554) shares the fourth place with Alexandra Kosteniuk. Members of media are welcome to use this page to receive accreditation. For more information please contact us via e-mail lvivchess2016@gmail.com.